The NFL after 13 weeks is a jumbled mess, as just a couple teams are running away with their divisions, but for the most part in a league where parity reigns, it’s just that – a bunch of so-so teams that have been able to win a couple games and stay in the mix for a playoff spot. Today though we take a look at some of the teams that most felt were going to make an impact in 2016 but just have not. Teams that were supposed to either be at the top of their divisions or at least challenging for a playoff spot. There was a lot of hope for this young team in 2016, with a young stud at quarterback in Blake Bortles, this team in a rather blah AFC South were supposed to either challenge for the South title, or at least be very much in the mix for a wild card. Instead, it looks as if Gus Bradley will be looking for a job on January 2nd, as at 2-10 this team has been awful. 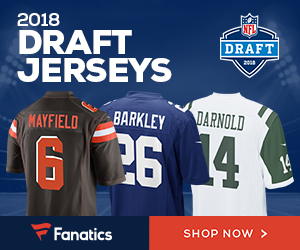 Their offense has gone backwards despite a lot of talent, and week in and week out mistakes have killed them, leaving them as a team that will be drafting in the top five in May. Be the first to comment on "Top 5 Most Disappointing Teams in the NFL in 2016"